The team at Springwood Nissan have been serving Brisbane’s southern suburbs with quality Nissan vehicles for a number of years. Our, state-of-the-art Nissan Showroom opened in 2012, featuring the entire New Nissan range. We are an independent dealership and operate with the friendliness and core values that you would expect from a family-owned business. Along with our Nissan showroom, our location includes an extensive Used Cars department. We also employ an experienced team to take care of our customers’ Nissan Finance and Nissan Fleet needs. So no matter what you are looking for, Springwood Nissan is your one-stop shop for all things Nissan in south Brisbane. Our dealership is staffed with a young, enthusiastic team that are specialists when it comes to finding the perfect Nissan to suit you. 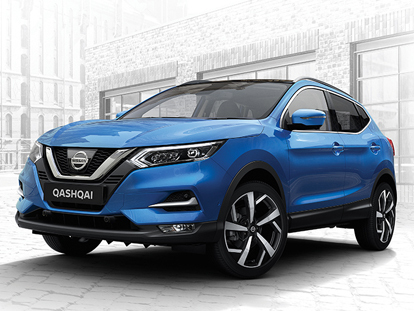 Our team are proud to represent the highly-regarded Nissan brand in our area, and look forward to showing you why they stand behind the quality of Nissan’s vehicles. We also encourage our team to get involved in our local Springwood community, by sponsoring local events, sporting clubs, and charities. Whether you are buying, selling or leasing, make sure you visit Springwood Nissan and experience the difference that excellent customer service can make. Contact a member of our friendly team to learn more about our Springwood Nissan dealership.